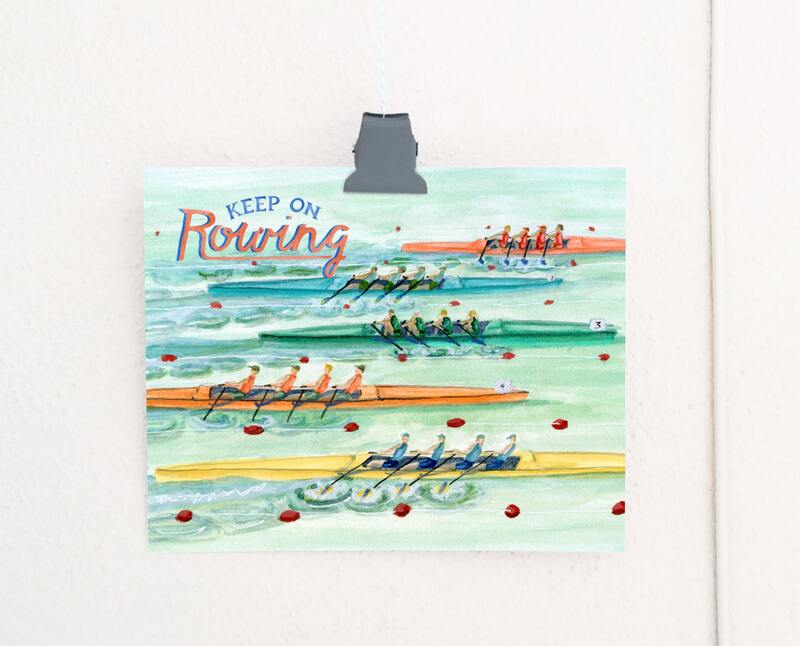 This rowing art features a colorful rowing scene for the perseverant athlete! 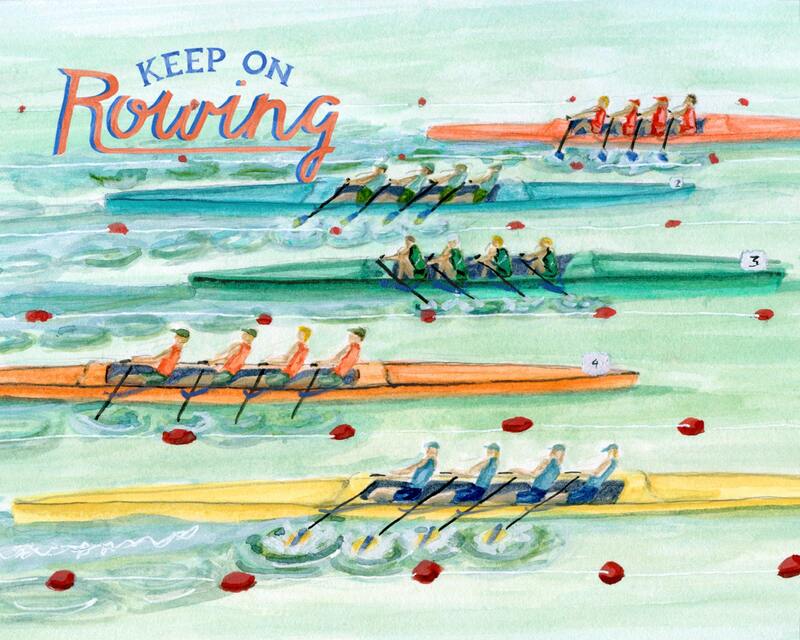 An encouraging piece of rowing art to inspire current rowing enthusiasts, anyone with fond memories of crew, or someone looking to bring some summer decor to their walls. A great gift for athletes or lovers of water sports. This rowing art is created using pigment inks on acid-free paper for longevity and accurate reproduction of the original watercolor painting.